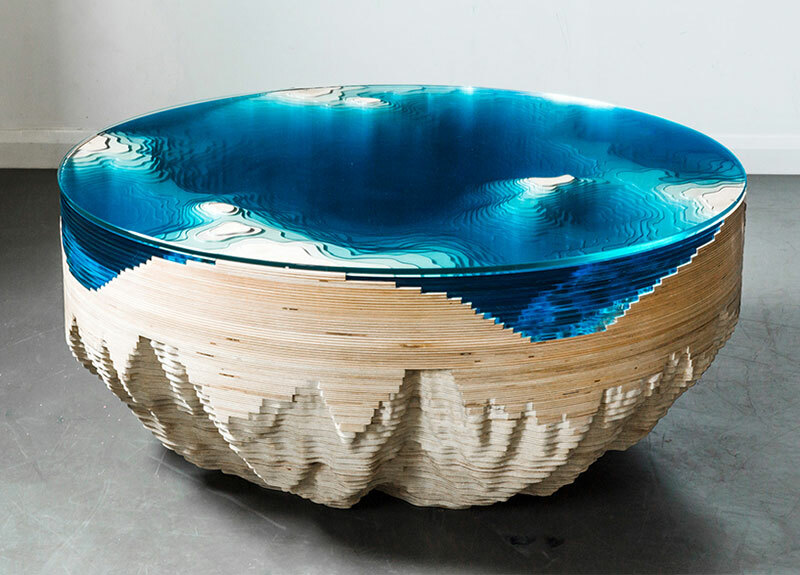 A dramatic circular table by Duffy London inspired by the layers and depth of the ocean. 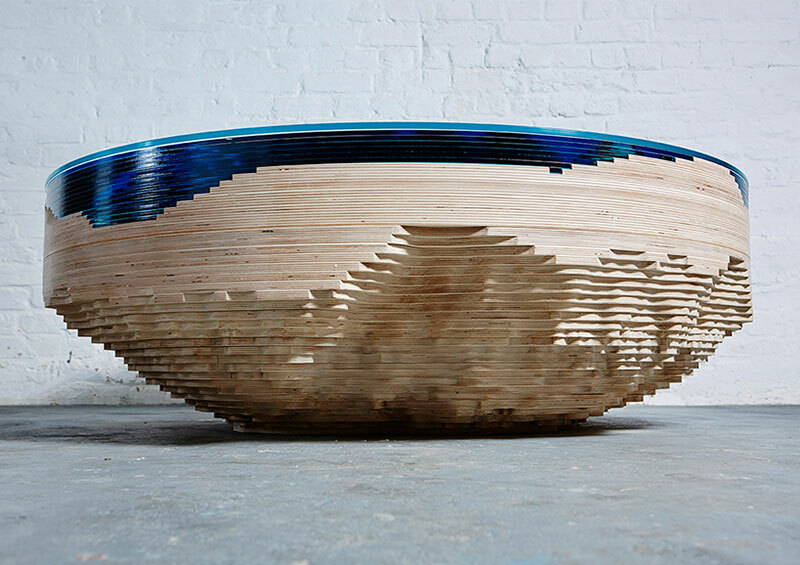 The design team spent a year developing the table experimenting with sculpted glass, Perspex and wood arranged like a geological cross-section as mesmerizing as the sea. 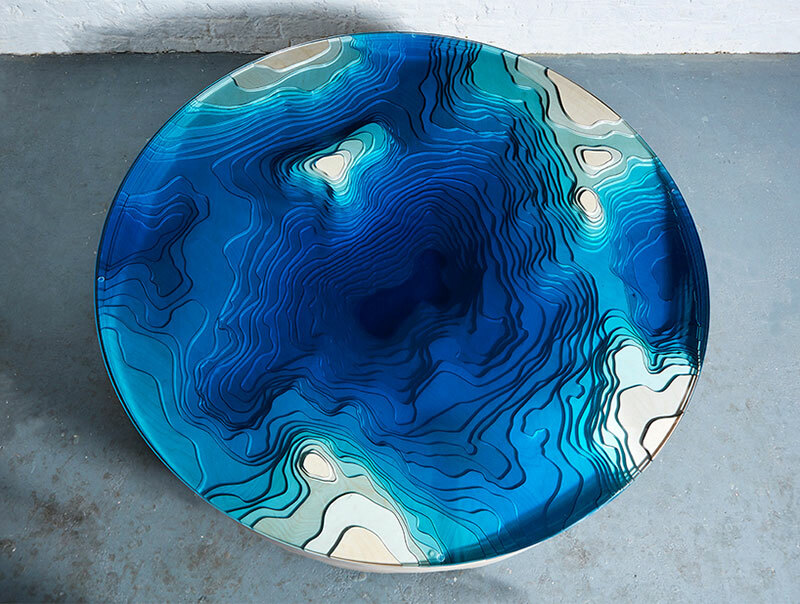 The Abyss Horizon Table is limited to 25 editions. I was looking into sheets of thick glass at my glass manufacturer’s factory, and noticed how the material darkened as they added more layers – the same way the sea does as it deepen. 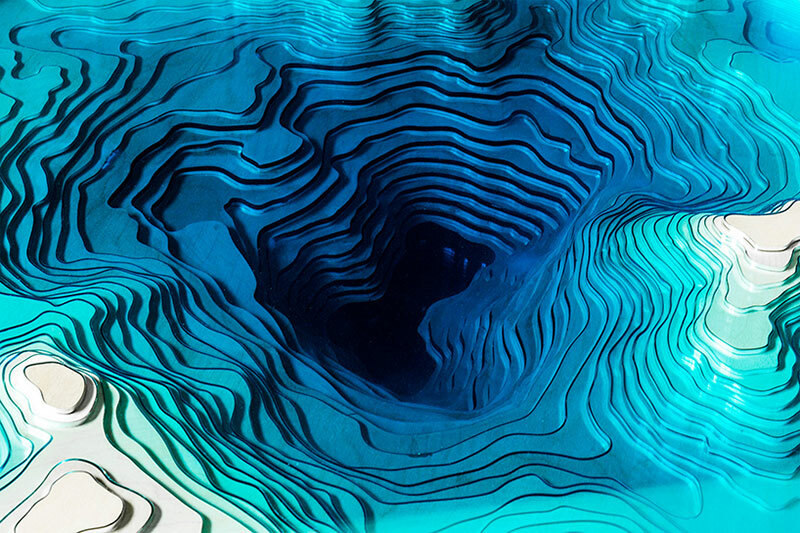 I wanted to use this effect to replicate a real piece of the earth’s sea bed. like a mythical power had lifted a perfect rectangle straight from the earth’s crust to use as his personal ornament. 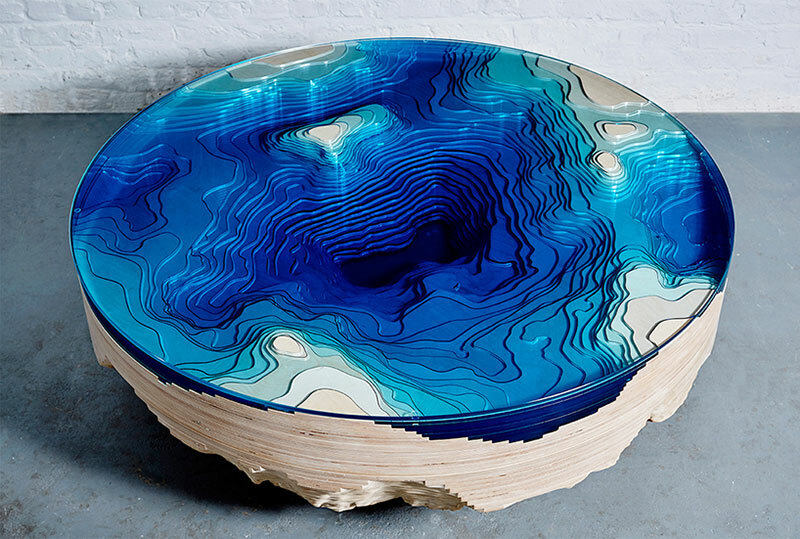 A dramatic circular table by Duffy London inspired by the layers and depth of the ocean.